A good friend who wears hearing aids comes by once a month to have me cut his hair. He takes the same seat at the kitchen table every time to talk first. We do some catching up on family news and when it’s haircut time he takes his hearing aids out and lays them down on the table. We move him to the middle of the kitchen and cut his hair. Ken was in and out, setting up Beatles music because that came up in conversation too. As talked, he started picking through the African violets on the table, pulling out the dead leaves. He had a whole pile there on the table offering live leaves to our friend to grow and telling us how well they used to grow in his office. My cat wandered in and out. It’s almost as much social time as it is haircut time. When I was done, our friend sat down at the table to put his hearing aids in and no hearing aids, oh crap! I immediately drop down to the floor to see if they had fallen off the table, instead I found a very hard piece of purple play dough left by my grandson a month ago. (Dang, how did I miss that?) There were a few extra violet leaves that drifted to the floor too. We check by the cat food, moved the chair and no hearing aids. Ken said, “I put them on the napkin so they wouldn’t get lost” but there were obviously not there anymore. I noticed the proximity of the napkin to the violets and think of the few leaves that fell on the floor. “Where did you put the African violet leaves,” I asked. “No! No I wouldn’t do that! I put them on the napkin to keep them safe.” Ken knows how much hearing aids cost so he’s panicking. He started going through the trash and then over to the compost bucket. Shifting through the leaves and cast off vegetable parts he found one hearing aid, then two. Hearing aids are light weight and could easily be scooped up with the African violet leaves, feeling no different. Now, did they work? We waited as our friend put in his hearing aids. 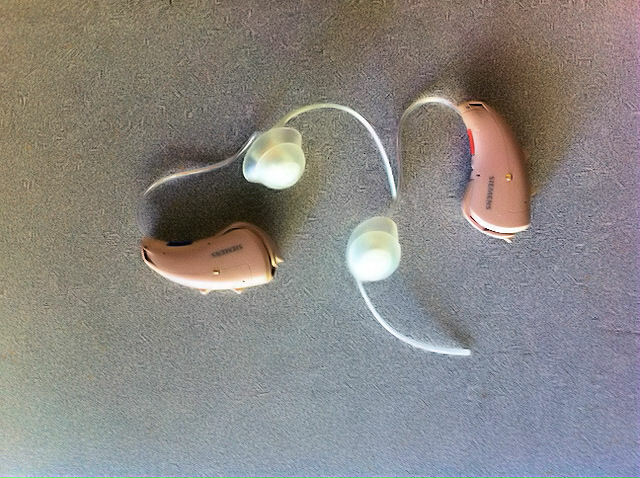 One hearing aid turned on however the other one didn’t. There was a few more seconds of panic but it didn’t take long to figure out it was missing the battery. Why would it be missing its battery Ken wanted to know. Because that’s how we shut off our hearing aids, open the battery door. “That’s silly.” Maybe but that’s how it’s done. What size was the battery? Smaller than my hearing aid batteries so we let him go home without knowing if it would work. I gave him a homemade dehumidifier to take home just in case. (A small sour cream container with lots of those dry packets that come in clothes and other kinds of packaging.) This morning I texted him asking him it worked and yes it does, yay! That’s proof how fast hearing aids can disappear. I hear about kids getting a hold of hearing aids, dogs eating them but never heard another compost bucket story. I learned a long time ago to always return my hearing aids to their protective box and put the box in the same place, which is in my purse. I learned the lesson the hard way about 13 or so years ago when cell phones weren’t always compatible with hearing aids. I was in the car, my sister called, I put my hearing aid in my lap as I drove. I forgot all about it when I checked my mail box and long strip of drive up mail boxes. I didn’t notice I put away only one hearing aid that night either. The next day I could only find one hearing aid and later that afternoon finally remembered everything…too late. It had been run over probably half a dozen time at the mailboxes. Ouch! From now on, I’ll have a small container set out for our friend to put his hearing aids in when he comes for haircuts. We’re supposed to wear our hearing aids all day long but I admit, I do not. If I want to concentrate on something like writing, it’s a lot easier without a bunch noise coming at me. If I’m just around the house, I probably won’t wear them either unless I’m having a bad hearing day. If I’m in a noisy situation I most definitely do not wear them. I teach a class for work called Hearing Aids 101. The current class is at a senior center and it seems audiologists do not educate their clients about hearing aids. I’m not sure if they think they can’t handle the technology or they don’t have enough time, maybe some of both. A few have worn hearing aids for years, a few have hearing aids and won’t wear them and some are about to buy their first pair of hearing aids. One lady who wears hearing aids said her audiologist told her to wear the hearing aids all day long to get the brain used to sounds again, to reconnect those pathways in the brain. “Yes!” I tell her, “Good girl” basically. But noisy set situations set my teeth on edge I explain. I have a bad habit of clenching my teeth when stressed out and this includes too much incoming noise. Sometimes I don’t realize the noise it too much until my teeth start hurting. 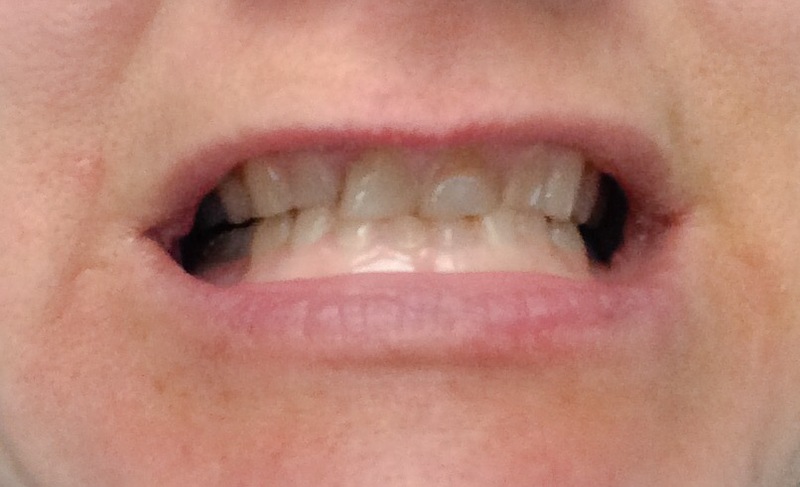 Then I back off trying my comfort program first and if I’m still clenching my teeth, I take them out. In all these years I’ve never gotten used to noisy environments and hearing aids. I’ve seen people at concerts with hearing aids in and cringed. (By the way that’s not protecting your remaining hearing very much.) Market Street Grill ( a local eatery with wonderful food and horrible acoustics) came up during this class when too much noise was mentioned. Each time I’ve been there I’ve taken my hearing aids or not worn them at all. We rarely go to eat there because of it. It’s a noisy world out there. I’m wearing my teeth down walking down the road, when lawnmowers come out and I clenched my teeth continually when I worked in the salon. Public bathrooms are worse than ever now thanks to those super air dry screaming machines (I’d rather wipe my wet hands on my pants). There’s someone who lives in the neighborhood with bass boom box in their car even I can hear coming from down the street. Someday sooner than we think the majority of the people will be hard of hearing rather than the minority. Then the world will change in our favor. Who knew hearing aids could were so important? Most all of us have experienced old, cracked tubes which reduce hearing aid output and moisture in the tubes can play havoc with our hearing aids too. Other than that, I think we take our hearing aid molds for granted but lately I’ve learned bad fitting ear molds can make or break or a hearing aid’s potential. 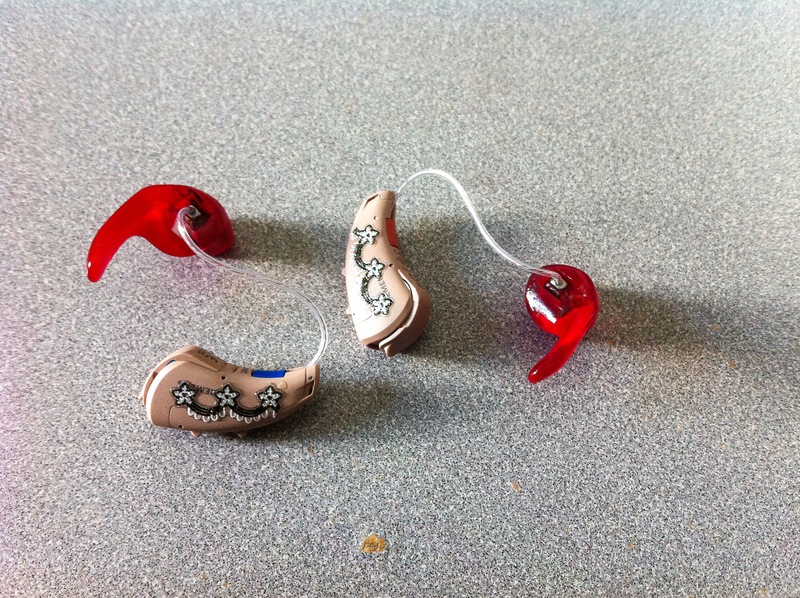 Last August I received new hearing aids, Siemens Carats and I’ve posted some about my problems with them. 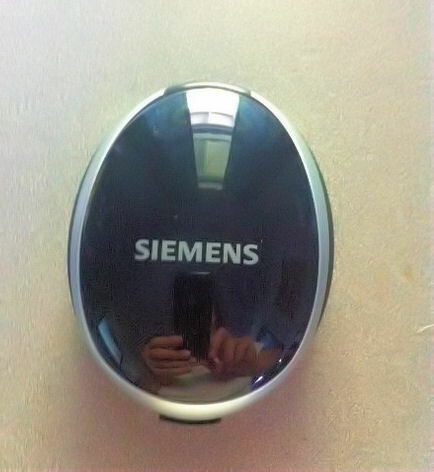 One of the biggest problems was bad fitting ear molds made my Siemens. Right from the start my ear molds kept working out of my ear and I kept having to push them back in. Then I noticed if I pushed them in and held them in tightly, I heard differently…better. So I went back to my audiologist who ordered another pair and they didn’t fit well either so he suggested using fingernail polish to thicken it up a little. I applied 2 coats of red fingernail polish(my favorite color) and it helped some. I really liked having red mold since I couldn’t have red hearing aids. My new pair of ear molds came in with the same problem so I painted them too. Other problems included a software update that crashed my t-coil program along with making all my programs sound the same. I continued to have feedback problems when going to hug people, which made me pull back. Who likes to hear squealing hearing aids? There were troubles with the bluetooth and not hearing right through that program. There’s a huge disappointment in the iPhone app for the EasyTek which at first seemed cool but ended up feeling more like a tease. (I hardly ever open that up anymore.) Then my ears started getting sore on the inside from constantly pushing them back in so I let my audi know I just about hated these new hearing aids. 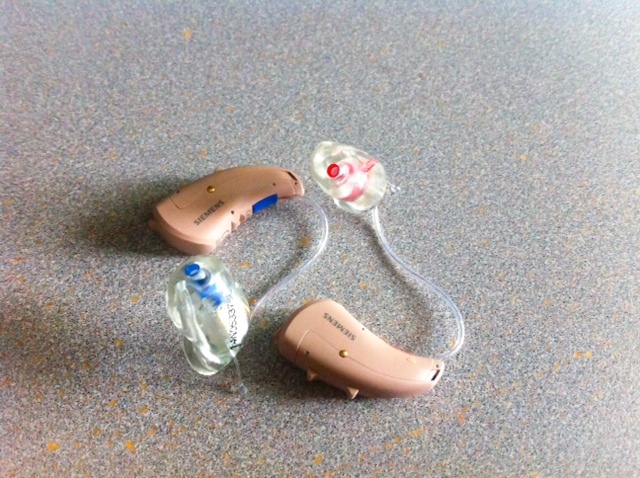 This is my fifth pair of hearing aids and the only ones I haven’t had a ‘wow’ factor when getting new hearing aids. I couldn’t recommend them to anyone and didn’t feel like talking about them. I don’t like being a complainer so I quit writing about them too. My audiologist listened to my complaints and offered to order me new hearing aid molds from another company. We agreed on the soft rubbery ones which I remember working with my Widex hearing aids 10 or so years ago when they had to crank up the power after a big drop in hearing. He knows I like red so he ordered me red hearing aid molds too. We switched out the hard plastic molds for the rubbery, soft, red molds a couple of weeks ago. There was a little of the stuffed up sound that I remembered with the old molds back when but it wasn’t as bad because there is a little vent hole. They felt comfortable right away and had a snug fit. Now I have to back up a little. With my Phonak Naidas my best word discrimination score was 50%. With the Siemens I had 60% right away but with all the troubles I had, I couldn’t get excited. With the new, better fitting rubbery molds my word discrimination shot up to 72%. That’s a huge jump! I haven’t seen a 72% word discrimination score in years. Six months later I can finally see what my audi kept bragging about with these hearing aids. They have a lot of potential with a proper fitting ear mold. Now as I watch tv, I pick up words here and there. That hasn’t happened in years either. I noticed in a classroom setting the other day I could look down and take notes and still understand most of what was being said. Finally, after 6 months, I get my wow factor and I’m excited about wearing them again. We worked out a few more bugs on the programs adding a specific bluetooth program to my aids because last week I realized I could not understand my mom on the phone without captions. My mom has a strong, clear voice and usually I can understand her above anyone else. Not through the bluetooth program and I even tried the bass from the iPhone app (another tease, it wouldn’t let me). Last night I called my mom as a test and talked to her for over an hour without captions and only needed a repeat about 5 times. Another major improvement. I wouldn’t trade my audiologist for anything. He’s been very patient through the whole thing and he can program like no audi I’ve ever known. Maybe now I can start going back every 3 months or so instead 2 or 3 times a month. That would sure be nice. I have one more visit first. My right ear mold works out still but not as bad as with the hard plastic kind. I’m pushing it in maybe 3 times a day compared to 3 times an hour. He’s making me a thicker mold on that side to help keep it in. I must have the strongest ear muscles in the world. One of the cool things about working at the Deaf and Hard of Hearing Center is I get to try out new products. They have a great demo room with a lot of technology and I get to play with it along the way to familiarize myself with it. Another great thing about working there is I run across some great people too. A few months ago someone called our information number and left a message wanting to learn more about financial aid for those wanting hearing aids. I was forced to call him. Even with CaptionCall I am not comfortable on the phone because I’m never sure how good the captions will be and I often interrupt people when they are talking thinking they are done. During the awkward phone (the captions weren’t the best), I found out he works at a local hearing aid manufacturer. I didn’t know we had one in the city. He’s a marketing guy for ClearFlex, a new hearing aid being introduced through Harris hearing aids. He knew people who needed financial help in obtaining hearing aids and I’m always willing to help however I can. I gave him my email at the end of the phone call and shared our financial resources with him. Through a number of emails, I learned more about their hearing aids. They don’t use a middle man (an audiologist) so their hearing aids go straight to the client. They come with a tablet so people can program their own hearing aids. There’s the typical beeping hearing test to take through the hearing aids from the tablet to form the basis of the hearing program. Or they can program an audiogram into it. Did I want to try it? You bet! Especially since about this time I was sick of my Siemens. He sent me his website and I watched their video at www.clearflex.com which had no captions at the time. I could follow the speaker as long he faced the camera but as soon as he turned away I started to lose words so I emailed the marketing guy telling him captions would be good. His response was, “It’s on YouTube, they have automatic captions already.” It was hard not to laugh because only the hard of hearing know how bad YouTube captions are so I told him, “YouTube is notorious for bad captions, try it yourself.” If he wanted he could watch ‘Caption Fail’ videos on YouTube for fun. The next day he said, “You’re right. We’re going to work on that.” They have and it’s now properly captioned. He came in a week or so later to let me take the hearing test right off the tablet and when I pulled out my own audiogram, it was pretty much right on. He had only domes for me to use with the receiver in the ear (RIC) aids and domes and I don’t get along we found out with the Siemens. The feedback was horrible so he took me into the adjustment part of the tablet to play with that and I did until the feedback was minimal. It was great to play with the programming. They have 5 categories to play with: volume, tinny sound, background, compression and feedback management. I smile at the “tinny sound” name. That’s something everyone who wears hearing aids can understand. A co-worker came in while I was playing with it all and expressed interest in the product. She had just given back the Siemens she tried out (same hearing aid as mine) because they couldn’t make a good enough ear mold to control the feedback. She had work to do so I filled her in later. I had questions. How long have they been making these hearing aids. About 4 months then, 6 months now. Do they have a warranty? Yes, a 3 year warranty. How expensive are they? Half of normal hearing aids because they don’t use the middle man so about $2200 for two hearing aids. Yes, they are worldwide and can sell all over. How does it work for people who aren’t technology inclined? They can program an audiogram into the hearing aids before shipping. They have people watch the video and the person will either say, “Yes, I can do that or no I can’t.” How many programs does it store? There’s currently 3 program memories. They come with a t-coil but a person needs to request it be turned on. He went back to the office and wanted to see if he could let me and my co-worker have a trial run with the hearing aids. After that it took him forever to pin me down for a time to come back as I was off getting married and I needed to coordinate with my co-worker too. A few weeks ago we able to get together and this time he brought the CEO of the company in with him! How cool is that? This guy knows his hearing aids. He told us about all the work he’s done prior to these hearing aids having worked within in the industry for years with an impressive background in the component parts themselves. He knew our current hearing aids by looking at the brand and model and right away he knew we had to have custom made molds to be able to hear with the ClearFlex. They brought only domes with them. (My co-worker has a severe hearing loss while I have a mild to profound sensorineural hearing loss.) We tried the hearing aids anyway, eager to play with the tablet. Unfortunately neither of us could hear well, as he predicted, so he made an appointment with us the following week to get ear impressions and have ear molds made. This little experiment didn’t dampen our enthusiasm as we had so much troubles already with the Siemens we expect adjustments and special fittings. They showed up the following week, took the impressions and sometime after the holidays we will get to try them. I see many advantages to these hearing aids and I can’t see audiologists happy about this product either. I’d love to be able to play with my own programming when needed instead of making an appointment with the audiologist and waiting. People with some computer know how would probably like being able to fiddle with their programs getting it to their liking. If they are new to hearing aids, they can sit and tweak for hours as long as they have patience for that and they can tweak them in all possible settings. Maybe less hearing aids would end up in drawers? We know how we like the world to sound and sometimes it’s hard to describe them to our audiologists. There are some advantages here. Maybe it excites me because I have some know how. The disadvantages I see is it could intimidate people who don’t like messing with technology. Some newbies to hearing aids might feel lost but I think the basic descriptions such as “tinny sound” might make it easy. They hope to get rid of the connecting wires from the aids to the tablet (only used for programming) soon with bluetooth in the hearing aids. That’s a drawback for people who don’t have the dexterity to plug the tiny wires in. It’s not for everyone, to each his own. One person might appreciate this kind of thing while another would rather let someone else deal with it for them. I’m excited to give it a go and I will write about it afterwards. I wanted to post here all month but it’s been one thing or another. First I was too depressed over my new hearing aids then after ten days of a swollen leg my boyfriend was diagnosed with a blood clot in his leg. (He didn’t fit the profile so it took longer than it should have.) That turned life upside down too for awhile but I think that’s leveling off so here I am. Out of all the years I’ve worn hearing aids, this is the first time I wasn’t over joyed with new hearing aids. The new molds didn’t fit right and kept working their way out of my ear and I kept shoving them back in which made one of my ears sore. I noticed during that time if I held my molds in place, I heard a lot better. As soon as I let go, things started to sound tinny again. During that time I went to present to a senior center for work and their meeting was held in the worst possible acoustics ever. Now that I knew how to work my app, I brought out my phone and tried focusing my hearing aids forward (zoom in) which helped a little. I was thrilled with that option. Then about 20-30 minutes later, the app figured I had been in the zoom long enough and went back to the master program. Ugh! Shouldn’t I be the one to decide when to change it? I put it back on zoom hoping it might be a temporary glitch but half way through my presentation the app changed me back to the master program again making it very hard to answer questions from the audience. So no, that wasn’t a glitch. A few days later, my boyfriend and I tried to hook up a transmitter and there were no instructions. We had no idea how to hook it up to the TV! After half an hour of frustration, we gave up. Between that, the app glitch and the hearing aid molds not fitting I finally had a meltdown. I took the hearing aids out and put them away. I had no desire to wear them. For the first time in 23 years of wearing hearing aids, I could understand why some people hate their hearing aids and lock them away in a drawer. I’m not the typical hearing aid wearer though. After I had a good cry my resolve returned. I didn’t put my hearing in again, however, until my next audiologist appt. I let him know how unhappy I was and why. All the gadgets and high tech’ness of the hearing aids felt like a tease. He was on the phone right away, ordering me different, new hearing aid molds. He suggested painting the current ear molds with fingernail polish in layers to thicken them up so they would stay in better. Right away I envisioned red ear molds. Here’s were I learned when molds don’t fit right, we lose bass in sound he said. Yeah, that’s it! I also had problems with harsh sounds but I knew this was a matter of programming and my audi is a great programmer. Anything in the kitchen hurt and I wound up clenching my teeth then taking my hearing aids out so I could relax. Another issue was walking to the store with my boyfriend, I could not understand him with the traffic noise. My audiologist listened and then spent about half an hour reprogramming my hearing aids. He ran a test called ‘live speech mapping’ (a similar program is called ‘real ear measure.’) He put something around my ear and slid something through the hole in my mold into my ear. My audiogram was up on his computer screen and he introduced a squibble of noise and lines bounced up and down on my chart. He said those noises represent the sounds of speech. When it was done, he made a few adjustments and ran the program again. I think he did this three times in all. Sounds were easier on my teeth and tolerable. We stood outside his office with the traffic and tested the new program and I could understand him. Whew, I started feeling a little better. Before leaving his office, he advised me to leave the other technology alone until I could get a proper hold on my new hearing aids. Unfortunately, I didn’t wear them all that much the following week either because I still had to push them back in often. Maybe I should have painted them with 6 layers? The next week I went back for my new hearing aid molds which have a kickstand kind of thing on them to help keep them in place. Another major relief. The only adjustments to my program this time was add a new program that zoomed my mics forward since my app won’t let me have it longer than 25 minutes. At home I painted my ear molds red again because I like the color and they could still be a little tighter. Then I added nail decals to jazz them up a little until I have time to paint them. I’m careful to paint only the outside edges staying away from where the receivers go in and the hole inside the ear. (Good thing I used to be a hairdresser!) I don’t want plain hearing aids, I want something I can show off. The hearing aids are more suited to me. I use the bluetooth feature to listen to music often and I find myself picking up more words with the lyrics. I tried using the phone with it but it was a major struggle. My boyfriend and I broke out the transmitter again the other day trying to hook it up, his way, and I had the devil of a time pairing my Easy Tek to it. I tried until the battery died and when I plugged it in to be charged I took the hearing aids out too. (Maybe my audi has something there.) The next day I finally paired it but still no sound so next time I’ll try hooking it up with an audio splitter. Every time there’s apps to be updated on my phone I say a little prayer the Easy Tek app will be updated too. No such luck yet. Today on my way home from teaching a hearing loss class I was listening to music again and all of a sudden my Easy Tek turned off. No clue why. My hands were on the steering wheel and the device hanging over the top of the seat belt. Let’s hope that’s a one time glitch because if it happens often I won’t have any use for it and it will go into a drawer. I also wish it would remember my bass position each time I turned it on. I up the bass because for all these years that’s how I heard music with my high frequency loss. I’m used to bass and although the tighter molds help, I still want a little more when my music is on. I think I hear too much outside noise too when on bluetooth. My audi said he shut down all the outside noise but I know through my old Phonak hearing aids, that isn’t always possible to shut it off the outside world completely. That’s another thing on my wish list for hearing aid manufacturers, to be able to shut the outside world entirely when all I want is my music or especially when I’m trying concentrate on the phone as well. I want no outside interference because I need/want every shred of noise I can get at that point. I also have more feedback than I’d like still. When I hug on someone, the hearing aids sound off. If I put my hands to my ear, they sing. Sigh. As my audi reminded me, no hearing aid is perfect and that’s true. They all have their glitches and they are better than nothing. Even after 23 years of hearing aid use I guess I still get my hopes up. Hearing aids aren’t called hearing miracles for a reason. That’s where my adventure stands right now. I’m done bitching so maybe the more positive stuff will start coming out now. Understanding more lyrics is a good thing. Being able to hear the neighborhood kids run up and down the street screaming is a good thing. Maybe. 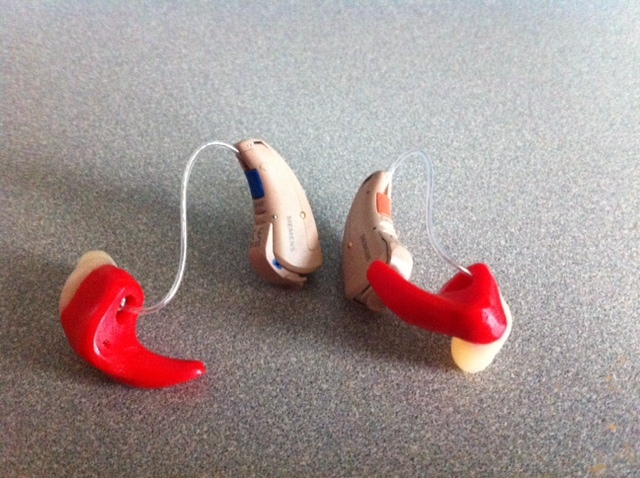 Yesterday I got my new hearing aid molds and the feedback problem is not nearly as bad. That’s good news. The new ones don’t itch and irritate my ears like the domes did which is also good news. There is still some feedback while I insert them into my ears so my audiologist put in a 6 second delay to give me time to put them in without feedback. Now they play a little ditty when the battery snaps shuts. Ta-da-ta-tah!” You are now hearing again. There were some issues I had with the app which my audiologist tried very hard to help with. My first problem is reconnecting to the app if I happen to walk too far away from phone. He told me to turn off the whole phone and it should be easier to reconnect. He demonstrated and it connected. Later, while at home I walked too far away and had to reconnect. The app kept telling me it couldn’t connect and I should go into demo mode. The app doesn’t do me any good in demo mode. Since we just turned my phone off and on an hour before, I hoped I wouldn’t have to do that every time I walked too far away. I fiddled around some more and found out if I turned the Bluetooth device off and back on, it reconnected the first try. Okay, I got that down now. The next problem I needed help with was the spatial configuration (mic direction). I could not figure out how to zoom my hearing aids forward and I could not get them to go right either which I think would be great while I’m driving to be able to hear my passenger better. In my last pair of hearing aids, they focused forward in the car at the windshield making it very difficult to hear my passengers so my audiologist set a specific car program in them that kept all the mics opens. So when I saw I could change the direction of my mics in the new hearing aids I was excited but then I couldn’t get it to work. My audiologist fiddled around with it for a bit and even called the company about it. It seems there are some glitches in the iPhone app and that’s one of them. I sure hope they get the bugs worked out of it so I can try the right direction while driving someday. I got something new to play with, a streaming device for my TV. I haven’t been able to hook it up yet and even though I watch very little TV, I’m kind of excited. The only time I watch TV consistently is during football season and that starts Sept 4th! (Go Steelers! Go Seahawks!) Normally I use captions when I watch TV or a movie but I take the captions off when watching football because they get the way of the game. I have the noise turned up because I like the sound of the crowd but I do not understand much of the announcers say. So I’ll have to set it up this week with a movie to be ready for the game. As I got in my car at the audiologist office I thought, “I don’t have a radio in the car. I should hook up Pandora because I can!” My 80’s station popped up and “Another One Bites the Dust” came up. Oh good song…. Good sound too. It was closer to what I remember 30 years ago. So I’m all happy in my car singing with Queen and thinking about the coming football season. When I get home, there was a mad rush to get things together for an evening picnic with friends in the mountains (that’s when I walked too far from my phone again and lost my connection). There was no real reason to keep my the Bluetooth device going at the picnic so I put it away but of course kept my hearing aids in. As we pulled in parking spaces were rapidly filling up because of a wedding at the reception building just beyond the picnic parking lot. This happens a lot there and it can be kind of irritating but I think all of our group got in. We greet the others there and I talk to a few people about my new hearing aids and then of course conversation drifts this way and that way and I’m following pretty good. We have dinner and then sit around the fire pit. Music suddenly fires up at the reception just beyond a patch of trees. “Man, that’s loud,” I keep thinking. I keep looking at the others who keep chatting. They seem unaffected. I look a few picnic tables back wondering if I hear it now because of my new hearing aids or because we are closer. I know we’ve been here dozens of times while weddings went on but I had no idea the music was in hearing range there. Without meaning to, I say out loud, “That’s loud,” as I look into the trees. A few others heard me and laughed. “Now you’re hearing what we hear.” I can’t believe I haven’t heard the music like that before. Wow. The world is a noisy place. My only issue left is my ears still work out the molds. As I talk/chew/laugh, they work out and I’m pushing them back in. I guess I have an overly strong muscle there. It doesn’t irritate my ears like the domes did at least. They just slide right back in and without feedback so it doesn’t rate high on my list of issues but more like a minor irritation. Maybe there’s something I else I can or maybe I’ll get used to poking them back but at any rate, I’ll be bringing that up on my next visit to the audiologist. First I need to wear them a while and see what else might need to be fine turned. So for now, I’m feeling better with these new hearing aids. I’m about to run errands in my radio-less car so I’ll hook everything up and listen to my 80’s station on Pandora. Shiny box to protect the new hearing aids. A few weeks ago vocational rehabilitation gave their approval for my new hearing aids and last week they were in. I went in Wednesday to get them programmed and to get hearing aids molds made. We know from the loaner hearing aid I did not like the domes. There’s some feedback problems and they constantly push out of my ear so every 5 minutes I pushing them back in. My ear became sore so I returned the loaner early not wanting to deal with it. Here are the new hearing aids. With domes. New hearing aids-Cool! Domes-not cool. And they are a boring color so I will have to decorate them when I have time this week. As soon as we turned the new hearing aids on, the feedback was horrendous. If I can hear it that loud then I know it’s bad. It’s not just the high pitched squeal, these babies SCREAM because my hearing loss is moderate/severe so the power is turned up. Once they were in my ears they were okay until I went to run my fingers through my hair. I winced and the audiologist said he’d take ear impressions later which will take away the feedback. I hope. And I’m not exactly thrilled to see this to tell you the truth. Bluetooth sounds great but it wears my hearing aid batteries down faster and my phone battery as well. Yeah, it has great sound but I don’t like all the extra drain. When I use my T-coil, (neck loop and hearing loop) there is no extra battery drain at all. I am Ms. T-coil and my audiologist is Mr. Bluetooth and here’s where we clash. The device came with the hearing aids so of course I’ll take it. I can’t use it to hook into meetings and I could use it for TV if I buy some adapter but I’m not a big TV fan (until football starts up again) and I’ve used captions since the late 90’s to fill in the missing pieces so ‘listening’ to TV is kind of weird. I’m unsure if I’ll hear enough even with the bluetooth and will probably end up depending on captions anyway. The only cool thing about this device is there’s an app for my phone which I downloaded. 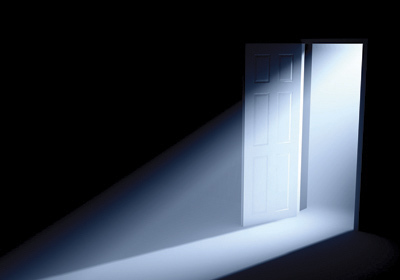 It lets me chose the direction I want to hear from; all around me, focus forward or backward and to the sides. I can control treble and bass which is nice for my music. 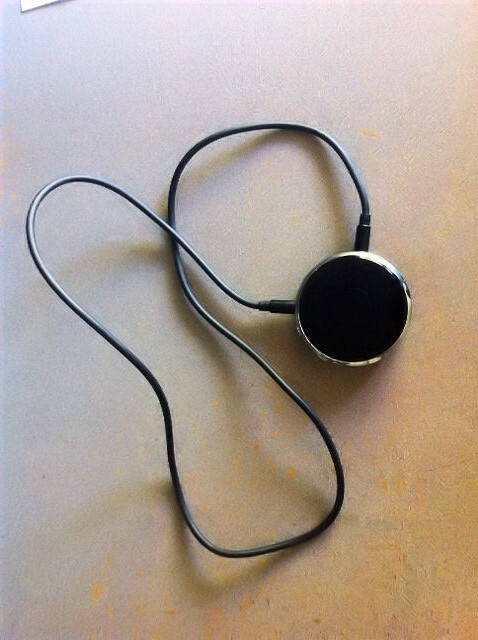 Music sounds so tinny through bluetooth and the neckloops. I think that’s because I don’t hear the higher frequencies anymore and when that’s added in through my hearing aids, it sounds weird. I hear low tones (bass) and that’s what I’m used to. The app also shows how much life is left in my hearing aid batteries and that’s kind of cool, it’s much nicer to check in that way instead of all annoying beeping. So he showed me how to use it all, took ear impressions for new molds and sent me on my way. I kept the bluetooth device on as I went shopping, listening to my music with the bass turned up. I can also change programs with that devices. Maybe sometimes I’ll use it. Being a good girl I wore them the rest of the of the day even though when I laid back on pillows to watch a movie, they screamed so I sat up. Sounds come through naturally and I like that. The domes made my ears itch too so I was constantly pulling them out and jamming my finger in so scratch. I’d put them back in with a whole lot of screaming before they settled into my ears again. The next day I went to work with for a full of training. The feedback made people on the other side of the room cringe. It’s a good thing I work I at a deaf and hard of hearing center because they all put it up with it in good nature. I had troubles changing my programs and had to used the bluetooth device to change it so I knew where I was at. If I walked too far away from phone, I lost the bluetooth connection and had to find it all over again. The battery on my phone went so low I had to charge it while at work which is something I normally don’t do. I found myself frustrated with all the technology and I’ve never felt that way with new hearing aids before. It’s like when I get a new phone, I’m excited about all the new options but frustrated with the learning process. When I got home, I put the new hearing aids back in their shiny box and they have not come back out since. I’m not wearing them again until the feedback problem is fixed (this coming Thursday afternoon). I took out my old comfy hearing aids the next day to finish day two of training at work without feedback. I’m on the fence with these new hearing aids. There’s some cool features but I’m worried the ear molds won’t be able to control the SCREAMING feedback. If they don’t, I’ll return them and try another kind. Maybe my hearing loss is too severe these days for hearing aids??? That thought floats around in my mind too. In which case, I’ll have to consider a cochlear implant or go the deaf route with more sign language. However I feel like I cope pretty well without hearing aids with lip reading and a few rules (like face me when talking to me). I’m facing another threshold I think. If my hearing drops even a little more it will shift my entire world once again.